Click here to see our 16 new colours! 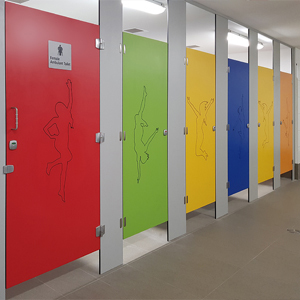 Aqualoo has been providing washroom solutions in Australia, including shower cubicles and toilet partitions, lockers, vanities and seating, for over 15 years. 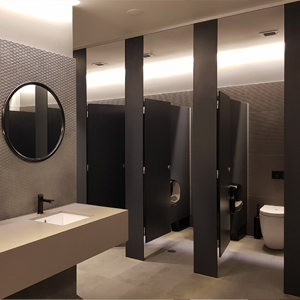 We believe that with good planning and modern innovations, washroom amenities can add to the positive atmosphere of a building. 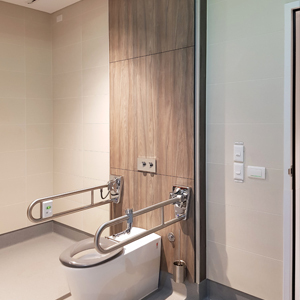 Aqualoo toilet and shower partitions are designed for a wide range of applications to suit most upmarket buildings to the most demanding spaces. 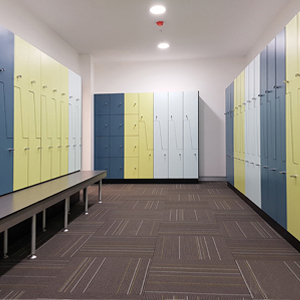 Compact laminate lockers comes in many configurations and designs. Custom design options are available – locking systems, routed numbers & accessories. 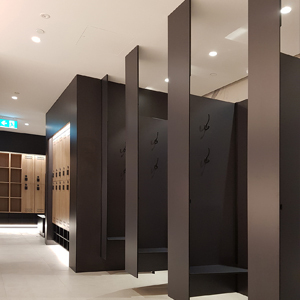 Integrated Panelling System is the perfect solution to easy future maintenance, reduce built program, increase footprint and easy installation. 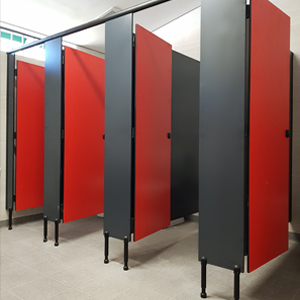 Aqualoo modesty / privacy panels are available in many designs and colours. See our fun kindy range suitable for schools, early learning and childcare centres. are also available from Aqualoo. Enquire about Aqualoo made to measure tabletops and cut to size. We provide everything from signage to grab rails to fit AS1428.1 Standards. Our colour range include Maica, Laminex, Polyrey, JHW & Polytec boards.